Warmaster is a set of fantasy miniatures wargame rules developed by the same company as produced Warhammer, Warhammer 40,000 and Lord of the Rings miniatures rules. This is not a complete game; players are required to independently purchase miniatures and construct a playing surface (wargames terrain). The game is scaled for 10mm miniatures (1:144, N Scale), and is designed to represent combat at the regiment and brigade level set in a fantasy/renaissance technology world. In Warmaster, combat and casualty calculations occur at the stand level. That is, for every stand in a unit, a number of dice are rolled in combat. As whole stands are removed by sustaining casualties, the number of dice similarly decreases. The command mechanism in Warmaster is simple but evocative. Each leader model has a Command factor. To issue a command, such as 'move forward' to a unit, two dice must be rolled against that target command factor. For every subsequent order attempted the target number becomes more difficult to achieve. As a consequence, despite being on the surface a move-counter move system, the turns are variable length and each player may not have the full opportunity to achieve everything they may want to. This simple mechanism introduces enjoyable tension into what is otherwise a largely conventional set of wargame rules. 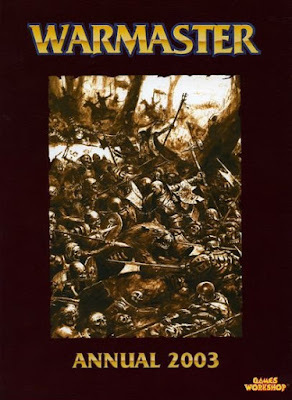 Warmaster Armies by Rick Priestley was published in 2006 as an expansion and clarification for Warmaster, Games Workshop's 10-15mm fantasy miniatures game. This expansion gives 14 new, complete, and official army lists. 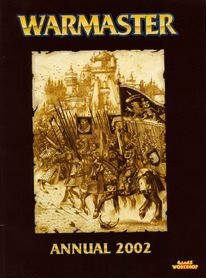 These lists include updates on the races and nations included in the original Warmaster book, as well as making some lists that had appeared in various GW magazines "official." In making the step to being "official" it also shows they have been play-tested and are, for the most part, balanced. A brand new list, Araby, with magic carpets and genies, is also included. 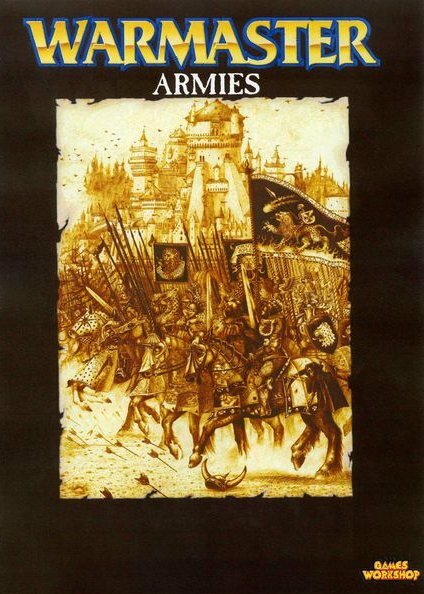 This list is superior in its presentation of the individual army rules. Both army composition rules and rules for play, are boiled down to a single page for each race and nation. Each race's spells are also presented. 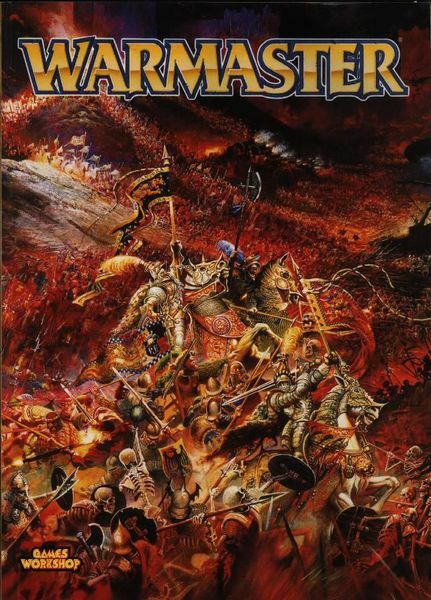 Released in 2003, this expansion of Warmaster includes rules for Dark Elf, Skaven, Mercenary (Dogs of War), and Vampire Armies. Also included are the four best articles from the previous year's Warmaster magazine. Released in 2002, this expansion of Warmaster includes 19 pages of updates to the basic rules along with rules for Lizardman, Bretonnian, Kislev, and Vampire Armies. Also included are the four best articles from the previous year's Warmaster magazine.